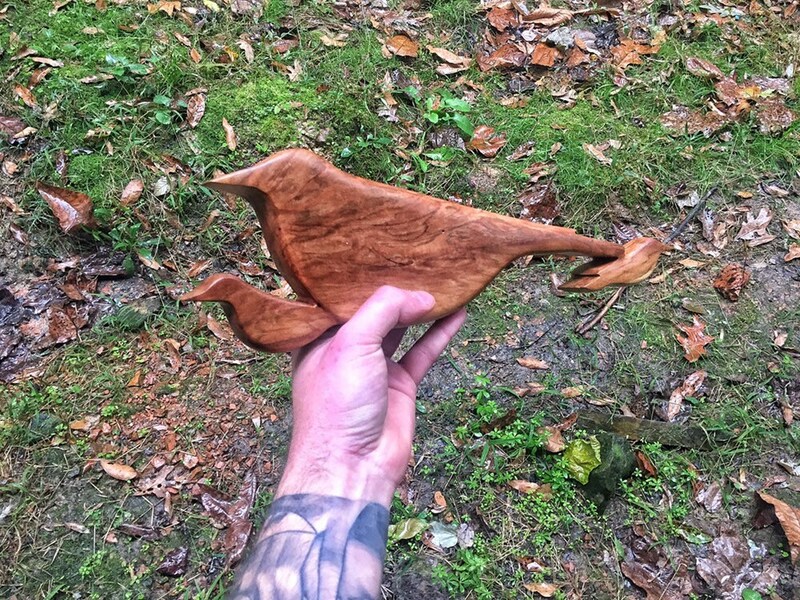 I made this carving of “Three Little Birds” in a piece of Hard Maple Burl. Burl wood is very unique, in that the grain swirls and interlocks. Burls form on trees due to some sort of stress, normally an agro bacteria. I really love the Burl wood of Hard Maple, because it contains dark and light colors, and a whole lot of character. 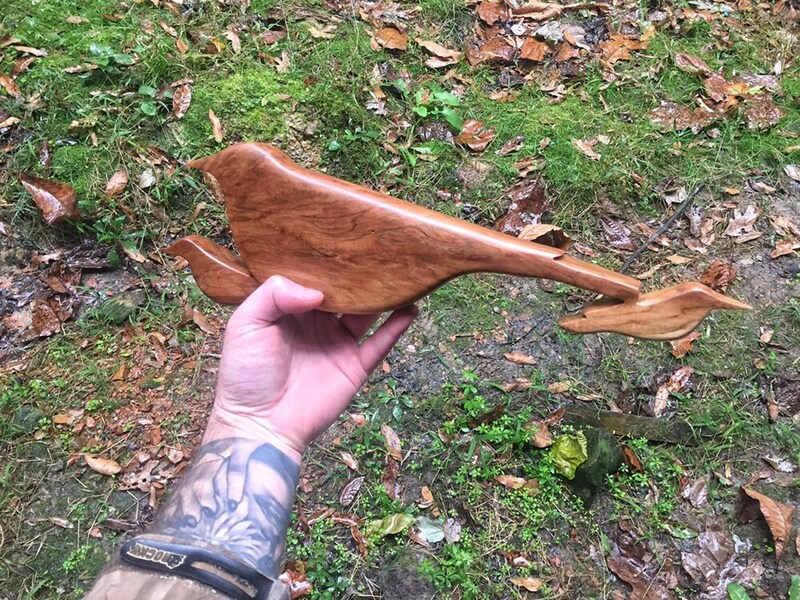 4 1/2” tall, 15” wide, 1 1/4” thick.. 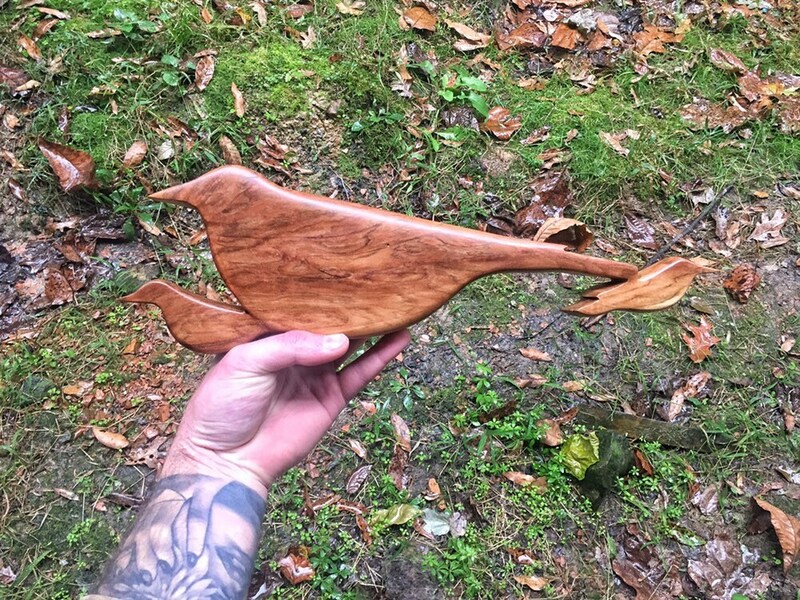 This carving is ready to hang on the wall. I have signed and dated the back. 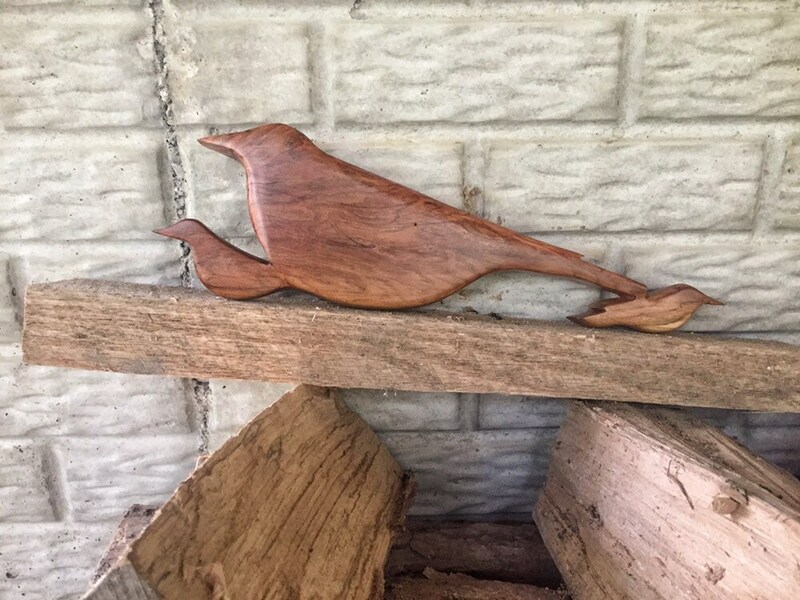 I made this carving using several tools. I roughed out the shape using a chainsaw. I refined the shape using different grinders. The real work began when the sanding process started. 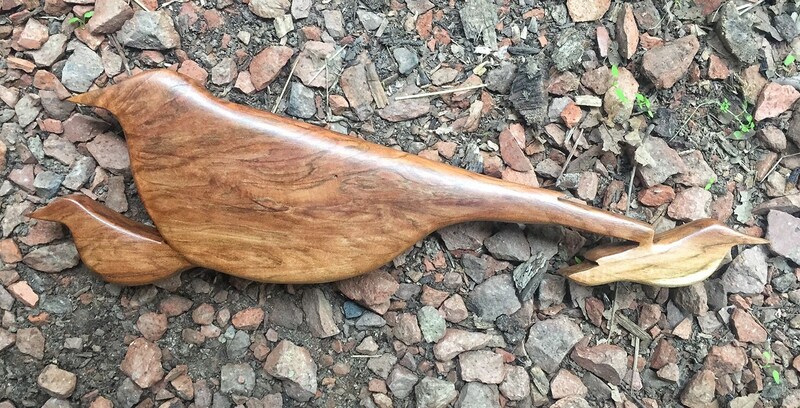 I sanded this carving all the way down to 400 grit, so that it is very smooth. 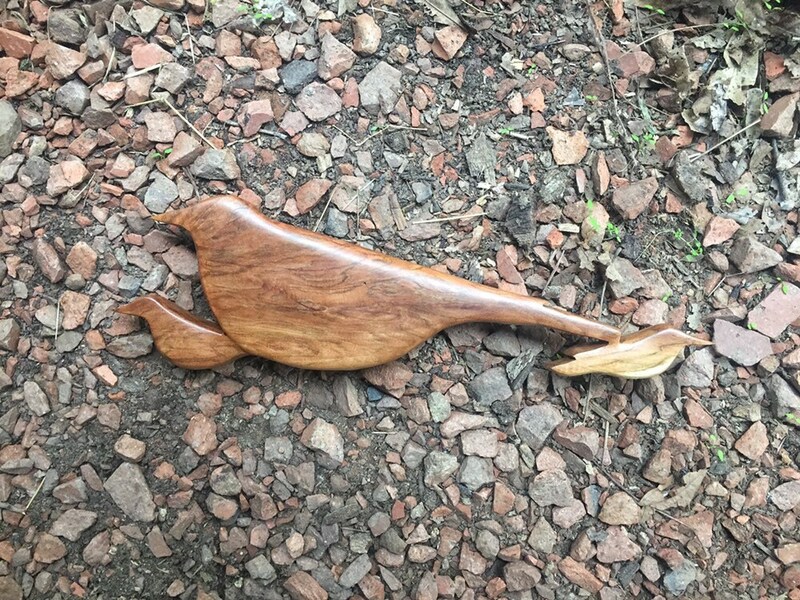 I finished this piece with several coats of polyurethane.